My first post was a out of chronological order but I was so excited how well it was going! So let's start at the very beginning. Ruth McDowell's work is spectacular. Additionally, she is one of the most generous teachers, sharing information in her books and classes. The Live Oak is the result of a two-day workshop. 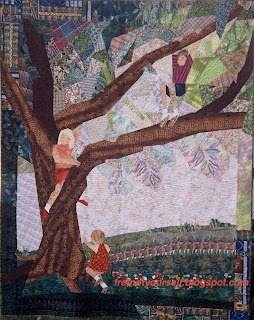 I wanted a quilt of my children climbing the tree in our front yard and had many photos to choose. As I recall they could always be found in the tree or in the creek; but no photo had all of them in the tree at the same time. (Isn't that always the case?) The tree was sketched and photos enlarged by differing amounts to get the children to the same scale. Next the photos were positioned on the tree and overlaid with tracing paper to draw a line design. Then it had to be drafted into something sewable. At this point the class was over. Working steadily at home the quilt was completed in two months and juried into the 2003 AQS Show in Paducah. 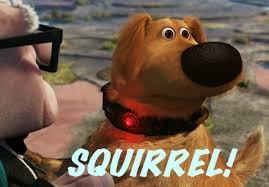 It's still my favorite. Time passed. Although ideas kept running through my mind, the mantra was, "I'll do this when I retire." Now is the time. Last spring I proposed a one year Book Study in my guild to jointly discuss Ruth's book, Piecing: Expanding the Basics. She re-wrote it as two books, Piecing Workshop and Design Workshop. We agreed to meet monthly with sketches, work finished or in-progress and two fabrics we found hard to use. The point was to study her techniques and determine how we could apply them to our own work. Five other quilters joined and we've had a blast. The group found solutions to drafting problems and explored uses of some of the ugliest fabrics ever! We progressed from the samples in Piecing Workshop to original designs of our own. Here's the monthly outline I wrote from Ruth's books. They are such a rich source of topics, it was very difficult to narrow them to twelve. Next time I'll show some of the steps in my recent work. Ann this is one of the most wonderful quilts I've ever seen. 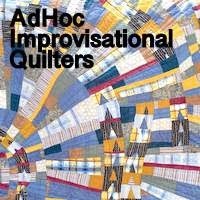 I too love Ruth McDowell's work and you have done an amazing job utilizing her techniques in the quilt. But most of all, I am attracted to the way that you added your children to the tree... like a time capsule of beloved memories. Lara, how very kind of you. I love this quilt as a memento of my three children. As you wrote, it's a time capsule. Thanks so much for writing. I just had to pop over and see your son's beige plaid shoes, LOL. 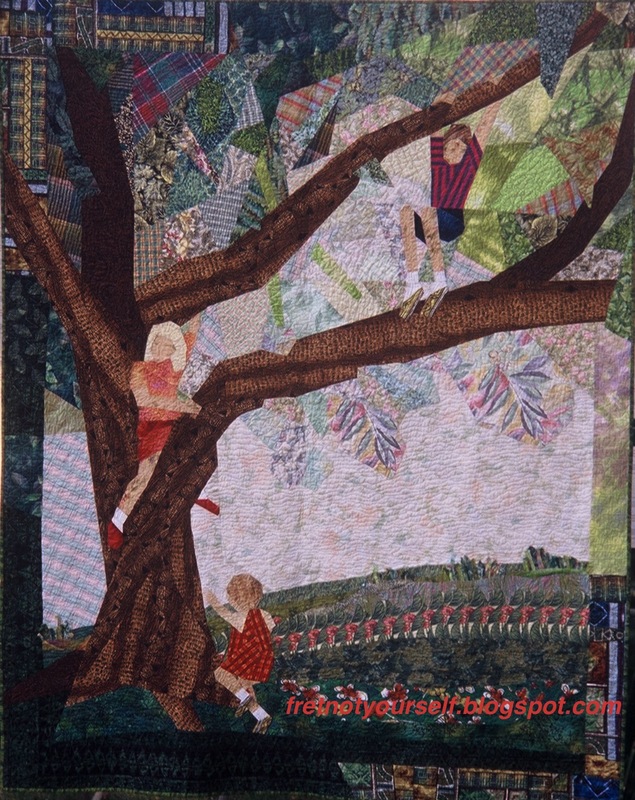 This remains one of my favorite quilts of all time Ann!